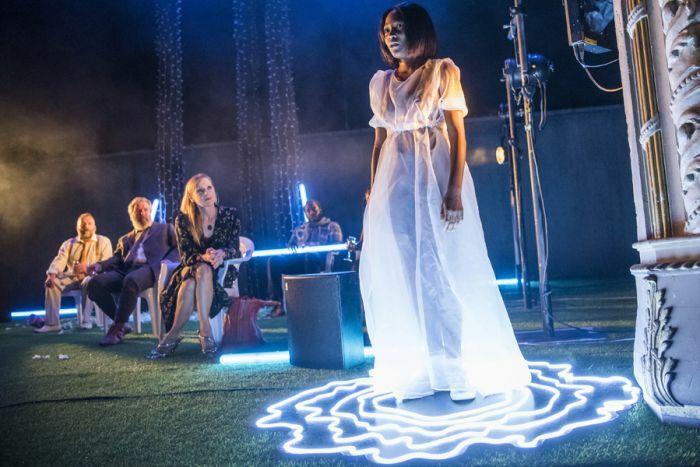 The Lyric Hammersmith have today launched an innovative feature in ‘Lyric 360’, a behind-the-scenes look at the making of the venue’s production of The Seagull. The documentary centres on the making of the recent Lyric Hammersmith production of The Seagull, in a new version penned by Simon Stephens. This charts the formation of the production, from early planning right the way through to opening night, with interviews from the theatre-makers involved and staff throughout the building which highlight the Lyric’s extensive programmes for young people. Part of a partnership between the Lyric and Digital Theatre+, ‘Lyric 360’ is now live on the theatre’s website for a month. It will then be exclusively available to view as part of DT+’s education platform. The newly formed partnership between the Lyric Hammersmith and Digital Theatre+ is focused on the creation of new digital learning resources, which will be available to schools and students nationally and internationally through the DT+ education platform, and the promotion of creative education in the London Borough of Hammersmith & Fulham, where the Lyric is based. In its first year, the partnership will encompass a range of initiatives, including the creation of a number of short digital films and documentaries that illuminate the life of a leading UK producing theatre. Schools in the area will benefit from unique access to the new resources.